A new user-friendly, practical reference book for the greenhouse and nursery industries will be released by the University of California Agriculture and Natural Resources (UC ANR) in the fall of 2018. Water, Root Media, and Nutrient Management for Greenhouse Crops is for large and small greenhouse producers of containerized crops throughout the United States and all climates of North America. It provides a thorough overview of plant nutrition, root media, and water quality, making it an ideal user manual for both the greenhouse and nursery industries. Books can be purchased at 1-800-994-8849 or 530-400-0725. For online orders, go to anrcatalog.ucanr.edu. The editors are Drs. Donald J. Merhaut, Kimberly A. Williams, and Salvatore S. Mangiafico.  Dr. Merhaut is an associate Extension specialist for nursery and floriculture crops at the University of California, Riverside. Dr. Williams is professor of horticulture at Kansas State University, and Dr. Mangiafico is an associate professor at Rutgers. Together, they worked with 20 other national and international academics and industry leaders to formulate this comprehensive guide in greenhouse crop management. Greenhouse production was originally associated with floriculture crops, specialty crops such as houseplants, and “out-of-season” vegetable production. 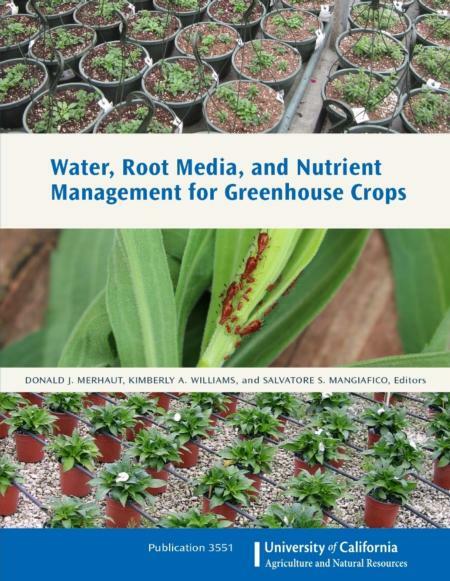 The last comprehensive book to focus on the water and nutrient aspects of greenhouse production in the United States was Water, Media, and Nutrition for Greenhouse Crops, edited by David W. Reed and published in 1996. Since that time, many aspects of greenhouse production have changed: new marketing trends have emerged such as organic production; improved and more efficient production technologies have been introduced; and new laws and regulations have been developed and implemented related to environmental sustainability and food safety. These changes have motivated growers to have a comprehensive understanding of greenhouse management. The book is sectioned into three main topics: water, root media, and fertilizer. Chapter 1 provides an overview of these three topics and the importance of understanding and integrating all three components when formulating a sound and cohesive horticultural plan for the nursery that is sustainable and profitable (see the Table of Contents for a complete list of chapters). Within each book section, details are provided on the proper use of water, media, or fertilizer and tailoring these inputs to meet the specific needs of a production facility. Instructions are also included in each section on how to monitor the water, media, or fertilizer status of the crop and general crop health, and how to correct problems that may arise in production. The editors would like to thank all the authors and UC ANR Publications (especially Ann Senuta and Stephen Barnett). Much credit goes to Kimberly Williams, who developed the original content and has been the visionary guide for this book since its inception. The editors dedicate this book to the growers and greenhouse managers across North America who daily accomplish the complex and challenging work of producing crops in protected environments that beautify and feed our world.